I spend A LOT of my grocery shopping time reading labels. If you buy food that needs a label, you should be sure you investigate what is in the ingredient list. There is a reason there is no nutrition information on say…a banana. I am sure microwave usage could be debated all day, and I have plenty of friends who refuse to use them. I need my microwave. For coffee reheats, and for popcorn. Sure I could pull out an air popper, or a pot, but it really is easier to nuke the corn. Which brings me to the ingredient list on microwave popcorn. I have read every box for sale in the grocery store, and so far I have only found one that did not contain TBHQ (Tertiary Butylhydroquinone). This ingredient is worth a Google. TBHQ is a food additive, but is also used as a corrosion inhibitor in biodiesel. 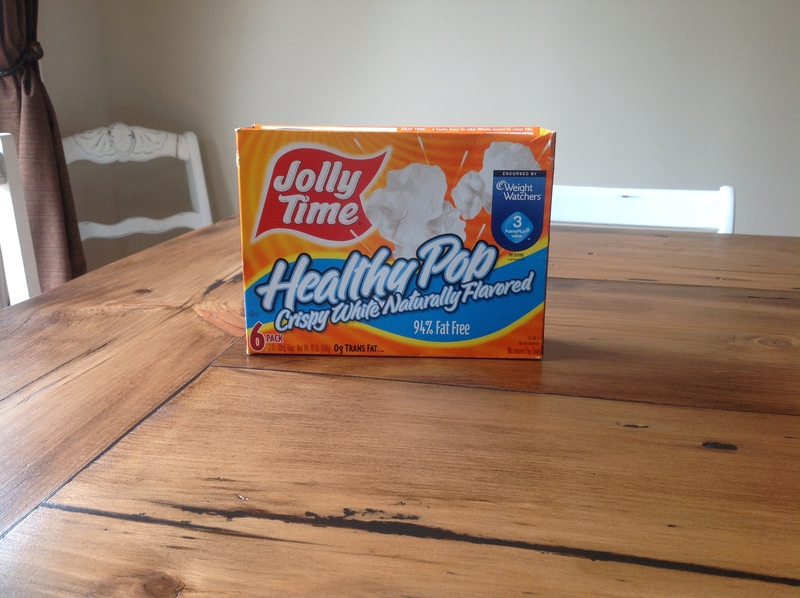 Jolly Time is the only brand that I can find that does not contain TBHQ. So if you are like me and the thought of dirtying one more pot or kitchen devise on movie night is totally unappealing, you know which box to buy!